In this post I would like to link several themes that have been explored on this blog recently: recipe exchanges, letters, and the role of emotions. Historians are frequently asked how compilers got their recipes (something that Hillary Nunn and Rebecca Laroche raised in their post on the Countess of Exeter). In other words, we are continually searching for evidence from recipe books that suggests a wider network of information exchange. In the case of eighteenth-century recipe books, attributions and marginalia can indicate an exchange, though these are often ambiguous. Occasionally longer anecdotes are included, revealing the circumstances of a specific recipe’s inclusion. Rarer still, letters associated with a recipe book can provide significant insight into the compiler’s health history, or domestic duties, as discussed by Elaine Leong in her recent post on Johanna St. John. Some sets of letters that are not associated with a recipe book can still tell us much about the creation and use of recipe books, as well as domestic medical care’s social milieu. One collection of mid-eighteenth century letters that I am using in my doctoral research belonged to the Cox family, landed gentry based in Herefordshire. 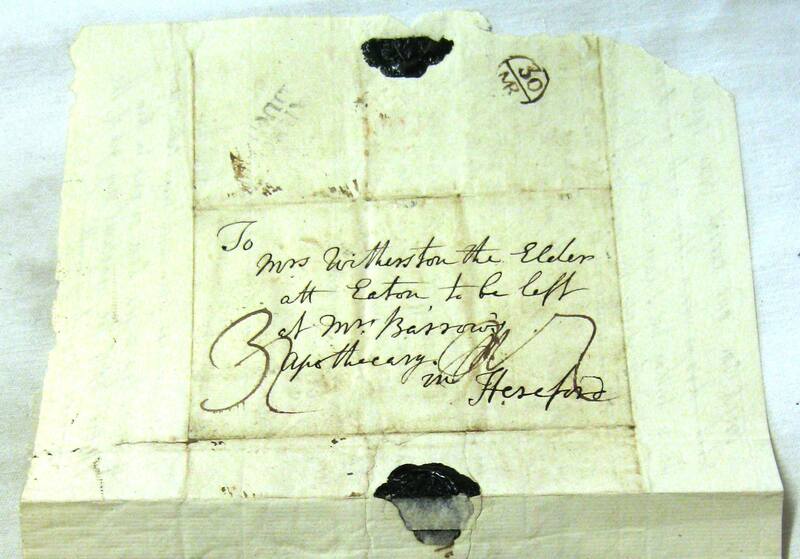 The majority of the letters are addressed to the elderly family benefactress, Mrs. Elizabeth Witherstone. Montserrat Cabré recently proposed that exchanging and preserving recipes can be emotionally charged. In the typical recipe collection, emotions and hidden lives are not always transparent, but they do emerge in letters that discuss recipe exchange. Letters were crucial for keeping up-to-date on the extended family’s wellbeing and life events, and the Cox family kept each other informed about health matters in very intimate detail. Concerned for Mrs. Witherstone’s poor health, cousin Alicia Cox wrote ‘let me beg you to take care of your health, kitchen physick as Broaths, and Jellys, are the best medicines at your time of life’. Mrs. Witherstone also occasionally exchanged letters containing recipes. 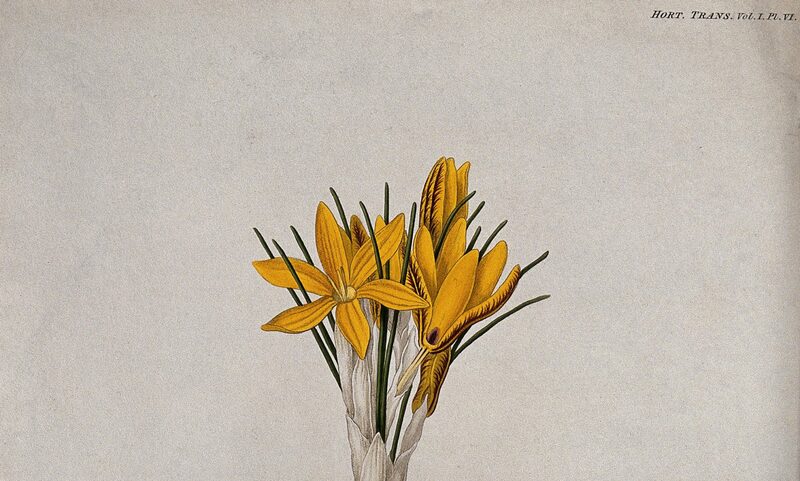 An acquaintance, S. Phillips, thanked Mrs. Witherstone for sending a receipt of ‘Turner’s Cerate’ for her mother’s leg. In exchange, she included a recipe for the Chin Cough, which she had used for her children and was ‘of great service to them’. This remedy was an ointment of spirit of hartshorne and powdered amber, which was to be rubbed on the children’s palms, soles of their feet, and pits of their stomachs for several days, morning and night. In a follow-up letter, Mrs. Phillips again thanked Mrs. Witherstone for the Cerate recipe, proclaiming that her mother thought ‘it has been of great use to her for thank god she has now little or no pain. She did not put it on just on the place of the wound’. You must get a tin can to hold about a pint & quarter with a cover to it, for it is to be done by a slow infusion the least boiling spoils it but I will set it down as particularly as I can. Take half a pound of lean Beef cut into small pieces and pick of[f] every bit of skin and fat and put a pint of boiling water to it and let it gently stew it is reduced to a strong broath. Put in 3 or 4 pepper corns but no salt till you drink it and eat with it a bit of toasted bread and would advice (if it agrees) to make it your Breakfast and supper. Exchanging remedies was evidently an important part of the Cox family’s lives and these letters exemplify how the responsibility of family health care extended beyond each household to include the advice and remedies of concerned relatives and friends. Letters are valuable resources for revealing the exchange process of a recipe’s history and the close relationship that recipe books had with the letter-writing tradition. Within these letters, expressions of authority, sympathy, hope, and desperation bring out the emotionally charged nature of recipes. Letters can provide recipe historians with a more complete picture of approaches to health care among England’s upper sorts, and they are important supporting documents for understanding the place of recipe books in a wider information exchange. Herefordshire County Record Office, J 38/8210 ‘Alicia Cox to Mrs Witherstone July 5 [no year]’. Ibid., ‘S. Phillips to Mrs Witherstone January 6, 1756’. Ibid., ‘S. Phillips to Mrs Witherstone May 25, 1756’. Ibid., ‘Alicia Cox to Mrs Witherstone Jan 11, [no year]’. Ibid., ‘Eliz Saunders to Mrs Witherstone March 27 [no year]’. Great post, and an important reminder about the fluidity of these two genres – I’ve seen letters tucked into recipe books, and recipes scribbled at the end of letters! Both types of writing worked to draw family and friends together. Thanks for your wonderful post! Indeed letters are a great -and often the only- way to document recipe exchange and the subjective experiences around them. I discussed it in a section for an earlier period in BHM 82.1, 2008.